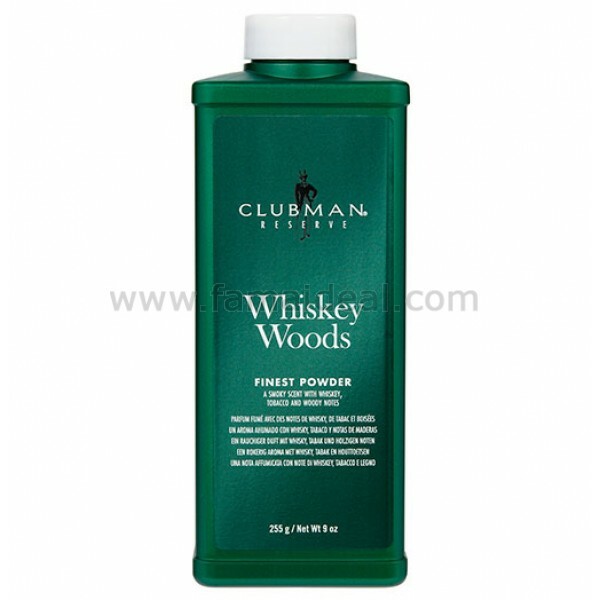 A superior blend of micro fine powders which helps to reduce excess moisture. The Whiskey Woods scent combines Tobacco Leaf and Bergamot with Whiskey and Woods to finish each shave on a smooth Smokey note. Comforting post-shave care soothes and exhilarates skin.